This page provides you with an overview on materials that have been published by a wide range of issues by a wide of civil society organisations from both sides of the Atlantic involved in the campaign against the EU – Canada trade agreement CETA. The materials on this page are provide analysis and argumentation on CETA both on the general level as well as on specific issues. On the end of this page you find links where you can find further information and regular news on CETA. The following publications give you a good overview on CETA from a critical perspective. A thorough analysis of the CETA agreement covering a wide range of aspects such as investor rights, public services, regulatory cooperation and foof safety. The report was published by S2B, PowerShift, AbL, BUND, Forum Umwelt & Entwicklung and others. This analysis debunks 6 popular swindles used to argue in favor of CETA. Published by Corporate Europe Observatory. One of the clearest and most powerful short briefing on CETA. 4 pages summarising why the deal must be stopped. This paper is offered as a warning to Europeans who care about the health of their people, the resilience of their communities. What is Canada’s experience with ISDS under NAFTA? 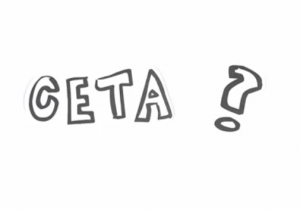 Why does CETA matter as much as TTIP? Text published in March 2016, including the “new” chapter on investment. The CETA mandate was published in December 2015, over 5 years after the beginning of the CETA negotiations. The following briefing explains the procedure for the negotiation, signing, and conclusion of the EU’s international trade agreements (Free Trade Agreement (FTA)), based on the legal provisions of the Treaty on the Functioning of the European Union (TFEU) , part of the Lisbon Treaty. The briefing provides a detailed step-by-step analysis of important aspects of the life cycle of EU trade agreements. Useful for our strategy planing. Before CETA the European Council adopted CETA in October 2016, several declarations and instruments have been put forward by the European commission which claim to improve the argument. The following articles dissect those accompanying documents and look if they really improve anything. Eight reasons why the declaration does very little to alleviate key concerns arising from the CETA’s proposed special rights and privileges for foreign investors by Gus Van Harten. Many proponents claim that CETA will generate growth and jobs. The following studies analyse those claims, provide alternativ analytical frameworks or analyse the effects of CETA for specific regions. Study by the Tufts university on the how CETA will negatively affect our economies and society. Written by Unifor economist Jim Stanford and focuses on expected manufacturing job losses for Canada as a result of the deal. The paper includes a brilliant critique of the CGE model used to assess the deal’s economic impact. The flaws in CGE (e.g. assuming there is zero unemployment and that no jobs can ever be lost as a result of trade in goods between nations) provides useful speaking points for campaigners. Generally pro-CETA report, but containing a good summary of pro-CETA arguments, of main criticisms and of the ratification steps – including details on provisional application. This study looks into the economic effects of CETA on the economies of Slovenia, Croatia, EU and Canada. The study is based on CGE modeling and GTAP 9 and takes into account what was actually achieved in the agreement (scenario 2 in the study). The study concludes that growth will be negligible, cumulative effects on GDP after 10 years would be 0.011% (Slovenia), 0.034% (EU), 0.038% (Croatia), 0.30% (Canada). Summary of results is in the table on page 43. In the analysis, the requirements articulated in the EP Resolution of July 2015 on TTIP are evaluated against a ‘traffic light’ to indicate which have been fulfilled (green), which remain uncertain (yellow), and which are unfulfilled (red) in CETA. Key report on investment protection, based on the October 2015 TTIP proposal but very relevant for the CETA debate on Investment. Gives all the arguments to debunk the EC claim that the investment chapter in CETA has been fixed. Check in particular the very useful annexes. The executive summary is available in many languages. In November 2015, the European Commission released a proposed text on foreign investor protection in the EU-US Transatlantic Trade and Investment Partnership (TTIP). In this paper, Professor Van Harten outlines key flaws in this proposal, including language buried in the text that significantly undermines the EC’s proposed provisions on the investment court system (ICS) and on the right to regulate. Since most of this proposal is now in CETA, the paper is very relevant. See for example the critique of the “right to regulate”. By law and prominent ISDS critique professor Gus Van Harten. This discussion paper elaborates on five serious flaws with proposals for investor-state dispute settlement (ISDS) in proposed Europe-United States and Europe-Canada trade deals known by the acronyms TTIP and CETA. The paper is written from a European perspective, considering that most European countries and the European Union have not agreed to ISDS in any past treaty with the U.S. or Canada and thus would assume much-expanded risks and constraints associated with ISDS due to TTIP or CETA. The report documents the 55 known cases of Canadian investors using the investor-state dispute settlement (ISDS) system to sue foreign governments in international trade tribunals. It finds that the ISDS process has overwhelmingly been used by Canadian resource companies to dispute resource management and environmental protection measures in developing countries. Includes links to the legal study on the compatibility of ISDS (including its CETA version) with the EU treaties, and memos on the topic in many languages. EU trade deals with Canada and the US could endanger citizens’ rights to basic services like water and health, as negotiators are doing the work of some of the EU’s most powerful corporate lobby groups in pushing an aggressive market opening agenda in the public sector. This report is available in English and French. The 2 pages abstract was translated into most EU languages. An analysis on the effects of CETA for health and in particular health costs. Canadian focus. The report looks into a number of key areas in CETA with likely implications for environmental protection. These include transport, the sustainable development chapter, energy, investors protection, regulatory cooperation and domestic regulations. Briefing explaining how ISDS CETA would grant investors the right to challenge governments’ decision to ban and regulate fracking. Available in EN, FR, ES. 4 pages briefing from Global Justice Now, written before the Paris Climate conference in Paris. Association of water management of the public operators in Germany (AöW). Analysis of the impact of the free trade agreement between the EU and Canada (CETA) on water management in Germany. European Water Movement has made a French translation. A general overview of risks to public water from CETA, TTIP and TISA. Summary of a presentation on CETA, ISDS and software patents. Successful challenges could undermine the European Patent Convention’s exclusion of software, the recent US Supreme Court’s limits on patentability, and US Congressional patent reform. This report outlines how CETA can negatively affect public health and undermines the ability to pursue health policies in the interest of the people. A list of CCPA publications on CETA. 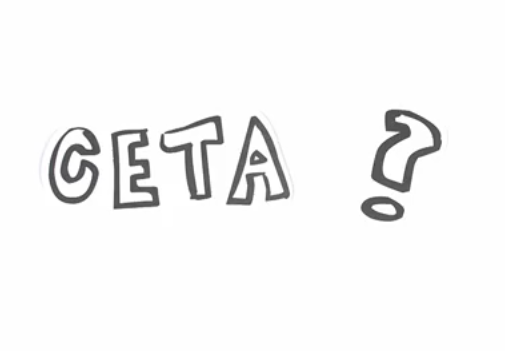 This pages compiles all the CETA leaks and their analysis. Bilaterals.org aggregates press articles and publications on trade and investment. Check their CETA page for the last updates on the agreement and its coverage.